It’s probably not fair to an author to start a book in the week leading up to Christmas, especially when you’re in the middle of moving house. That may explain why Lisa Jewell’s novel, Before I Met You, took me a few days to get into. Once I had a stretch of a few good reading hours, however, I became absorbed. Before I Met You begins with the story of Betty who, as a child, goes with her mother and step-father to the Channel Island of Guernsey to live with her ageing step-grandmother, Arlette. Arlette lives as a near recluse, occupying a suite of rooms in a crumbling old house perched on a cliff facing the sea. Although she appears to dislike almost everyone, she takes a shine to Betty. She introduces her step-granddaughter to “glamour” and fashion, even though, by all accounts, she has never left Guernsey. Reaching adulthood in the 1990s, Betty has grown fond of Arlette, even though the old woman is increasingly frail and suffers from dementia. After taking it upon herself to stay on the island to look after Arlette until her death, Betty is rewarded with a small legacy and a mystery: she must look for a girl by the name of “Miss Clara Pickle”, to whom Arlette has left part of her fortune. If Clara cannot be found within a year, the inheritance will be Betty’s. Her last known address is in London’s infamous red light district, Soho. Eager for adventure and wanting to solve the mystery of the bequest, Betty travels to London and settles in Soho, using almost all of her legacy to rent a tiny studio. Before she can look into the mystery, she must first find a job, and this proves difficult. Eventually, she progresses from flipping burgers at Wendy’s to being the nanny for an estranged celebrity couple. In her spare time, she befriends a DJ who helps her follow clues Arlette has left as to Clara Pickle’s identity. Along the way, Betty discovers that her grandmother, far from being a recluse – albeit with a taste for finery and red satin shoes – once led a totally different life, one of excitement, fashion and glamour. Running parallel to Betty’s story is the story of Arlette’s youth which is dramatised in interleaving flashbacks. Having come of age in the years following World War One, Arlette, a great beauty, travels from Guernsey to London to live with the family of an old friend of her mother. There, at the beginning of the jazz age of the 1920s, she meets Gideon Worsley, a Bohemian artist from a well-to-do family who insists on painting her portrait. Gideon introduces her to one of the great jazz musicians of the age, a black clarinet player from the Caribbean, whose stage name is “Sandy Beach”. Alongside Gideon and “Sandy”, Arlette – a shop girl, by day – frequents the fashionable night clubs of the era, mingling with the famous people who make up the fashionable pre-Bloomsbury set. As the novel progresses, the two narrative threads converge and the mystery surrounding Arlette’s will is explained. In a dual climax, Betty and Arlette, their lives separated by a gap of seventy-five years, individually face difficult choices which will set the course for their futures. 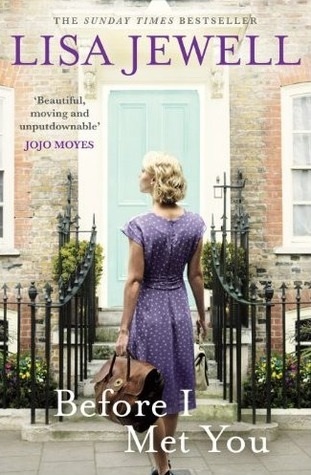 Before I met You gives us a glimpse of post-World War One London when women were experiencing new freedoms, both in terms of economic opportunity and of social mobility; it also conveys the constraints facing women of that time. The lasting impression of the story for me, however, is one of sadness, with the realisation of how quickly and easily the lives of one generation may be forgotten by subsequent generations. It makes me wish my father’s mother, a contemporary of Arlette, had recorded her life story. It would fill in so many gaps. I’m continuing my binge of books by authors recommended by members of my Facebook group for fans of Nicci French. The group’s readers are an eclectic lot – the recommended authors don’t all write psychological suspense. 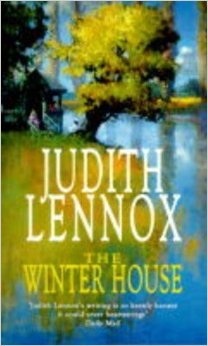 This week’s new (for me) author is Judith Lennox whose historical fiction saga, The Winter House, was published in 1996. I haven’t read a historical saga for years. I don’t know why. I used to love them. The story opens with three friends, Robin, Helen and Maia, who, at the end of the First World War and on the verge of adulthood, vow to celebrate the great milestones of their lives: their first jobs, travelling abroad, losing their virginity. Robin is a pacifist from a progressive family whose two brothers fought in the war, one never returning, the other coming home with shell shock. Helen is the only child and dutiful daughter of the widowed local rector, a man who believes himself a cut above the rural labourers and artisans who inhabit the run-down cottages of their marsh-surrounded village. Maia is the beauty of the trio, a girl brought up to expect the finer things in life only to be abandoned by her profligate father in the worst possible way. Each girl has a dream. Robin dreams of escaping the academic fate her father has planned for her and moving to London to become involved in activist politics, to do something that makes a difference in the world. Helen dreams of having a home and family. Maia wants the security of wealth that she knew as a child, and is prepared to do what it takes to get it. As the girls become women and pursue their dreams, each has to make choices and compromises, face hardships which test their endurance – and their friendship. The adolescent vow of celebrating milestones isn’t forgotten, but it becomes representative of the naivety – if not always innocence – of their youthful hopes, as well as the differences in their personalities, upbringing and values. The story covers the period of the aftermath of the First World War, through the twenties and into the Great Depression and the Spanish Civil War, and ends with Europe on the brink of another war. These great events aren’t just a backdrop to the story; they play a significant part in Robin’s and Maia’s lives, while Helen’s eventual questioning of her faith is indicative of a broader wave of secularism that reflects the changing values of this time. The Winter House is an interesting and engrossing story, easy to read and, in parts, moving. It makes me wonder why I don’t read more historical sagas. Trigger warning for survivors of childhood sexual assault. 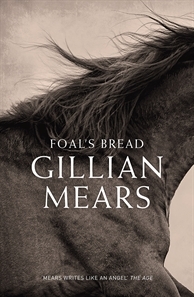 There aren’t too many books I can honestly say have changed my life, but Gillian Mears’ Foal’s Bread is one of them. I first came across this title in 2012 when participants of the Australian Women Writers Challenge posted their reviews. Eleven reviews appeared that year, the vast majority of which were laudatory. This was a special book, I realised. It could sneak inside your soul, break your heart, move even the most prosaic reviewer to poetry. Opening the beautiful dust jacket with its glimpse of a galloping horse, I began to read, only soon to slam the book shut again. The initial pages are so horrifically distressing, and yet so beautifully told, I knew I’d need to be stronger to withstand the emotional onslaught. A few weeks ago I tried again. This time, I persisted. I read about how in the early twentieth-century a young Aboriginal girl, Noah, finds herself in an intolerable situation, battles through as best she can, has children before she’s fully grown up, and marries a man who, like her, is a champion horse rider. I read of Noah’s strength as mother, farmer and farrier, as her husband Roly succumbs to a mysterious illness, the birth of her daughter Lainey who, like Noah herself, has the talent to become a champion rider. I read how the events of those first few pages haunt Noah through the years until she at last comes to terms with them. For me the beauty of this story isn’t in the plot. It isn’t even in the language – though that is exquisite. It’s in the effect it has had on me personally. One of the facets of certain kinds of childhood sexual assault that many people don’t understand is how survivors can respond. Often, the abuser has the child’s trust; sometimes, the abuser is just about the only person ever to have shown the child kindness; sometimes the child’s own nascent sexual feelings are stimulated by the sexual violation of their boundaries, so that they don’t even recognise the abuse as abuse. They respond to it as if it were love. Mears has depicted the complexity of this childhood response with remarkable sensitivity. Her portrayal of Noah as a survivor is done with such understanding and compassion that I find myself not only in awe at her skill, but also immensely grateful. I finished this book with a remarkable sense of freedom. For years, I have been filled with rage at my abuser. Mears reminded me of the love I’d once felt, and the reasons for that love. For some strange reason, accepting this reality, opened up a space where, it seems, forgiveness may be possible. We are all capable of being abusers of one kind or another, Mears suggests; “hurt people hurt people”. It’s a remarkable gift for a writer to convey that reality with such a deep sense of compassion. Having finally read it, I now know why. This review forms part of my contribution to the 2014 Australian Women Writers Challenge and Aussie Author Challenge.